If you attend the Awaken Series or Awaken Workshops you automatically accept the terms of these terms & conditions. I recognise that content of The Awaken Series courses and workshops may bring up unresolved emotions or issues around trauma, life experiences and sexuality. While TAS provides a safe and sacred space to work through these places further, assistance may be required. TAS coursework and Awaken Workshops do not replace the need for individual therapy, especially in cases of previous traumas. If any issues arise, I take responsibility to seek extra support and assistance as required. TAS always encourages students to err on the side of caution and be gentle in cases of injury, and does not promote an approach of pushing yourself or forcing your body in any way. TAS is unable to provide detailed, personal modifications during a group class. I agree to follow instructions carefully during participation in TAS and Awaken Workshops, and take responsibility in always listening to my body and not pushing beyond my abilities. If I am dealing with a physical injury or medical condition, I commit to checking in with my medical practitioner for clearance before beginning TAS or Awaken Workshops. If attending a course or workshop while dealing with an injury, I commit to checking in with a teacher or assistant ahead of time for modification recommendations, take full responsibility for my limitations and hold TAS harmless for any exacerbation or injuries resulting from participating in the practice. For pregnancy, yoga is generally not recommended during the first trimester. However, if students have medical clearance and feel confident to do this practise anyway, they are welcome to do so at their own risk. The instructor will not be able to guide students with a pre-natal focus. It is my responsibility to let instructors know before a series or workshop begins if I am pregnant, and discuss possible modifications. However, I release and hold harmless TAS for any health issues as a result of my participation in TAS classes, workshops or events. TAS has been developed over many years and is highly refined to maintain its sacredness and connection to every person who practices it. I agree to keep confidential all methods, techniques, ideas, knowledge, information, manners of delivery, instructions, principles and practices delivered. I will not divulge, publish, record, give away or otherwise share the principles, practices and techniques I learn as a result of my participation in TAS or Awaken Workshops. Although certain basic elements of this practise can be found elsewhere, the concept, approach and format is unique to Emma Power, her training and many years of embodied research. I understand that what is taught is for my own personal growth only and agree not to teach this approach as a practitioner of any kind without having undertaken TAS Teacher Training or obtaining direct permission from Emma Power. I agree to keep the identities and personal stories or information of any other participants confidential. I will never share another person’s personal experience or identity without their permission. TAS reserves the right to use any photographic or video materials for promotional purposes. TAS highly recommends full attendance and commitment to every class to get the most out of the practice. TAS aims to create a very safe, deep and consistent space for all who attend classes, and casual attendance or dropping into another class is often disruptive to group energy. As a result, classes missed during the course cannot be made up at another time. The instructor is still there and available to cover any missed content. TAS does not offer refunds without a medical certificate. Rescheduling: If a student can no longer attend a course, TAS will apply the credit to a future course if you cancel at least two weeks prior; a $30 transfer fee applies. Credits may be applied any course with the exclusion of The Kundalini Series. On Sell Booking: Students are also permitted to ‘on sell’ booking for a course they cannot attend. This must be arranged with a TAS team member, along with the name and email of the new student. A $30 transfer fee applied. No refunds are given for cancellations after the commencement of any course. All changes to bookings must be conducted via email hello@theawakenseries.com with two weeks notice. TAS is proud to offer a full money back guarantee if a student feels it has not delivered on what was promised. Applications for full refund must be done in writing and directed to hello@theawakenseries.com; feedback is welcomed and wholeheartedly responded to. This is contingent on full attendance of a series or workshop. TAS does not refund any goods which have been worn, used, damaged after delivery, broken or if any attempt have been made to alter the product. All products must be returned in their original condition, and all postage and insurance costs are to be paid by the buyer. TAS recommends returning the product via registered post and pre-paying all postage, with shipment registration of insurance with the postal carrier, as the returner assumes any risk of lost, theft or damaged goods. TAS will not be responsible for parcels lost or damaged in transit. Usage of TAS website may require student details in order to provide the best service possible. All correspondence may be collected and stored, including telephone, email, mail, fax or direct sharing on the website. Details collected from TAS students is recorded in order to provide top customer service, service references and to assist in staff development. Any information collected will not be sold, shared, or rented to others in ways different from what is disclosed in this privacy statement. When sensitive information (such as credit card numbers) is entered on the website, it is encrypted using secure socket layer technology (SSL). The information is passed on for order completion; TAS does not permanently store complete credit card information. TAS follows industry standards to protect the personal information submitted, both during transmission and once received. Any questions about information security can be directed to admin@theawakenseries.com. If personally identifiable information changes or a student no longer wishes to receive TAS notifications, students may correct, update or delete information by responding to the unsubscribe option, found at the bottom of each newsletter. Any purchase of TAS courses, Awaken Workshops, or products may require personally identifiable information including contact information and financial information for billing purposes. It may also be used for order tracking and outreach regarding any issues with processing or delivery. TAS uses personally identifiable information for essential communications, such as emails, accounts information, and critical service details. It may also be used for promotional emails. If at any time a customer wishes not to receive such correspondence, they can request to be removed from any mailing lists by clicking the “unsubscribe” link at the bottom of all newsletters and notifications or emailing hello@theawakenseries.com. Students will be notified when personal information is collected by any third party that is not a TAS agent/service provider, so they can make an informed choice as to whether or not to share information with that party. TAS may use other third parties at its discretion to provide essential services on the TAS website or for business processes (such as billing). These third parties are prohibited from using your personally identifiable information for any other purpose. TAS does not share any information with third parties for any unknown or unrelated uses. TAS reserves the right to disclose personally identifiable information as required by law and when it is determined that disclosure is necessary to protect TAS rights and/or comply with a judicial proceeding, court order, or legal process served on the website. Links on the TAS website to external entities are not covered within this policy. The terms and conditions set out in this privacy statement only cover the domain name of www.tantraislove.com and www.theawakenseries.com. TAS reserves the right to modify this privacy statement at any time. If material changes are made to this policy, students will be notified by email or by means of a notice on our homepage. TAS uses STRIPE Payment Gateway for its online credit card transactions. STRIPE is an online credit card transaction processing system for thousands of Australian merchants, providing a safe and secure means of collecting payments via the Internet. All online credit card transactions performed on this site using the STRIPE gateway are secured payments. Complete credit card number cannot be viewed by TAS or any outside party. After ordering online, students will receive an email confirmation from containing order details if email address has been provided. TAS will confirm receipt of orders within 24 hours of processing. Workshops, classes and face-to-face sessions are conducted at prearranged times. All products purchased through the website will be sent via Australia Post within five working days; however if goods are unavailable delivery delays may occur. 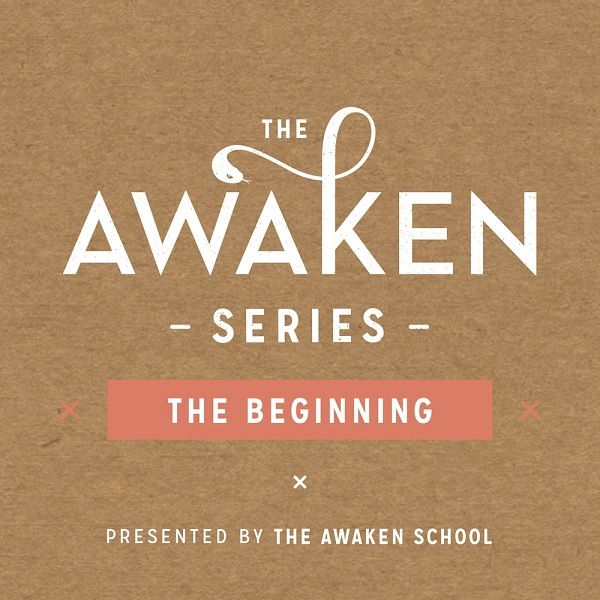 Any questions or concerns regarding the delivery of products can be directed to hello@theawakenseries.com. TAS is not responsible for any advice or information given by TAS teachers outside of the hours of TAS classes and Awaken workshops. Any consultations or information shared is not under the jurisdiction of TAS, and TAS is therefore not liable.